Kids will appreciate attractions like Sangumburi Crater and Hyeopjae Beach. Deepen your sense of the past at sights like Seongeup Folk Village and Samseonghyeol. Get out of town with these interesting Jeju side-trips: Seogwipo (Seongsan Ilchulbong & O'Sulloc Tea Museum). And it doesn't end there: hunt for treasures at Dongmun Market, take a peaceful walk through Hallasan National Park, take in the spiritual surroundings of Gwaneumsa Temple, and Head underground at Manjanggul Cave. 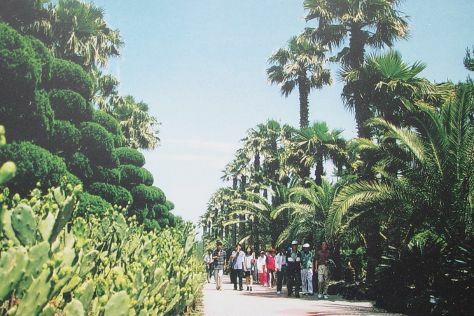 To see traveler tips, other places to visit, photos, and tourist information, refer to the Jeju trip itinerary maker site . Kuala Lumpur, Malaysia to Jeju is an approximately 11-hour flight. Traveling from Kuala Lumpur to Jeju, you'll lose 1 hour due to the time zone difference. Traveling from Kuala Lumpur in December, things will get colder in Jeju: highs are around 11°C and lows about 5°C. Wrap up your sightseeing by early afternoon on the 26th (Tue) to allow enough time to travel back home.